... DNR finalizes Lake Vermilion management plan. A plan that covers how fish populations will be managed in Lake Vermilion through 2022 has been finalized by the Minnesota Department of Natural Resources. Public input resulted in slight changes to the final plan including new stocking guidelines for muskie, a planned evaluation of the current northern pike special regulation and adjustments to fish survey methods including the timing of fish sampling. The plan retains the walleye regulation implemented in May 2017 and is more specific than the previous plan about management goals, objectives and activities for individual fish species. Lake Vermilion is well loved by anglers, visitors and area residents, said Edie Evarts, Tower area fisheries supervisor. Thank you to everyone who has contributed their time and input to the management plan for this popular, multi-species fishery. The plan was developed in partnership with the Lake Vermilion Fisheries Input Group comprised of a diverse group of people interested in Lake Vermilion fish management representing local, statewide and tribal perspectives. The group worked with the DNR from early stages of plan development to reviewing its final version. The planned evaluation of the current northern pike special regulation is underway, including a proposal to simplify pike regulations by bringing them in line with the new statewide zone regulation starting in May 2019. A public open house on that topic is scheduled for 6 to 8 p.m. Wednesday, Aug. 22, at the Tower Civic Center, 402 Pine St., in Tower. 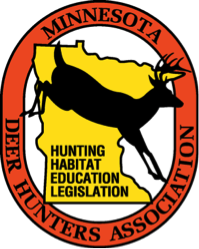 Questions or comments may be directed to the Tower area fisheries office, 650 Highway 169, Tower, MN 55790, by calling 218-300-7803, or emailing edie.evarts@state.mn.us, through Wednesday, Sept. 26. The plan and more information are available at mndnr.gov/lakevermilion.